Request MUST be submitted at least six (6) weeks prior to the date of your event. Request may only be submitted online via our online Washington Mystics Donation Request Form. Please do not send personal items to be autographed by Mystics players, coaches, or alumni. The Washington Mystics will not be held responsible for any lost or unreturned items. The Washington Mystics are unable to donate to organizations outside of the Washington, DC Metropolitan Area (MD and VA). All correspondence will be made via email, please do not call or email directly for status updates. 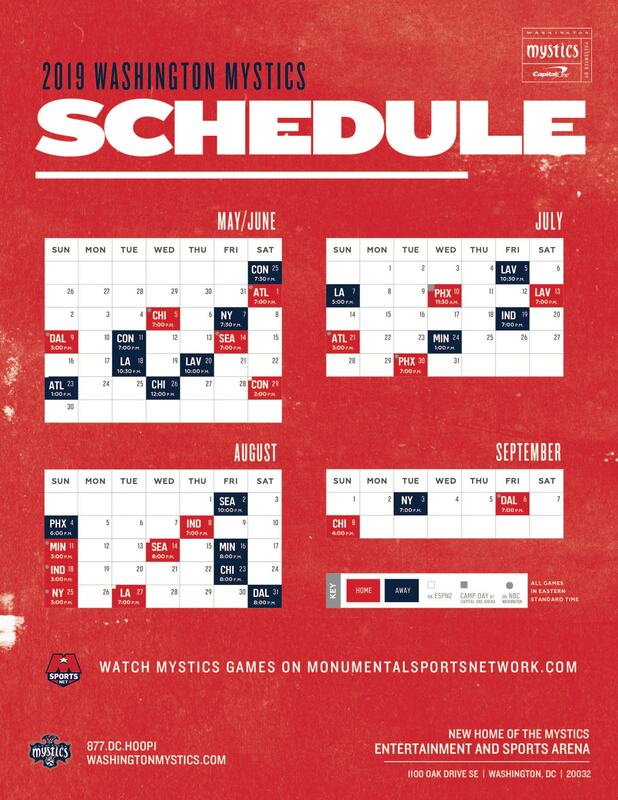 The Washington Mystics Community Relations department is unable to make monetary donations or provide sponsorships. All requests are subject to approval by the Washington Mystics. After you submit your request online, you will receive a return e-mail with a username and password so that you may check the status of your request. Please keep in mind that submitting an online request does not guarantee your organization will receive a donation.